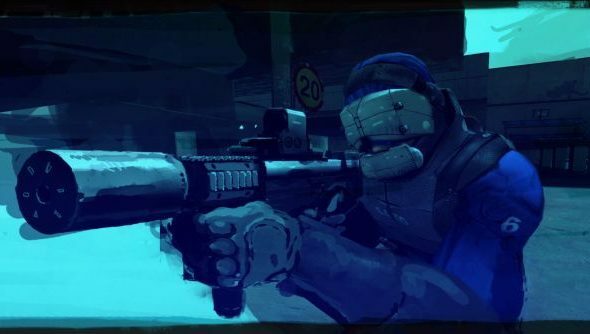 NEOTOKYO began as a mod for Half-Life 2: a first person shooter set within future Japan. After being Greenlit almost over two years ago, it’s finally found itself with a full release on the Steam store, and best of all it’s free. It boasts a futuristic take on combat thanks to the cybernetically enhanced soldiers such as motion detection and thermal vision. The mod has been in production since October 2004 and was greatly influenced by iconic animes such as Ghost in the Shell and Akira. That influence has made its mark on the environments where NEOTOKYO takes place: futuristic Japan. It’s a squad based first person shooter which emphasises and rewards coordinated team work. Picking from three different classes (support, recon and assault) players can choose their preferred role and playstyle. Recons have high mobility and are hard to detect thanks to their camo. Assault have access to thermal vision and frag grenades. Supports meanwhile move slowly and can’t sprint, but pack heavy armour.